What is better than getting a surprise thank you for being a new or appreciated client/ customer? Not only is this a great way to show your appreciation for their business, but it is a great way to ensure future business with your company. Why send the same old thing? Let Elite Florals create signature gifts just for your company. 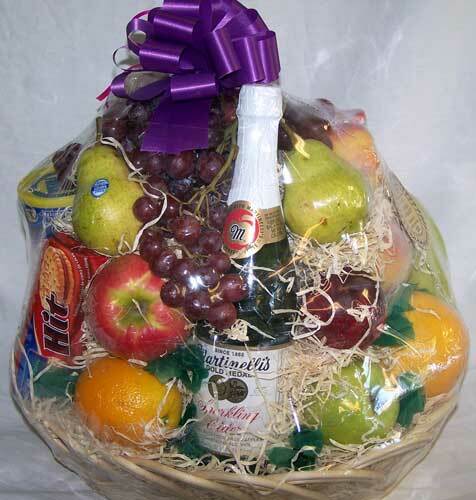 We offer Exotic Fruit Baskets, Gourmet Baskets, Cookie Platters or Towers, as well as Traditional Fresh Fruit Baskets. 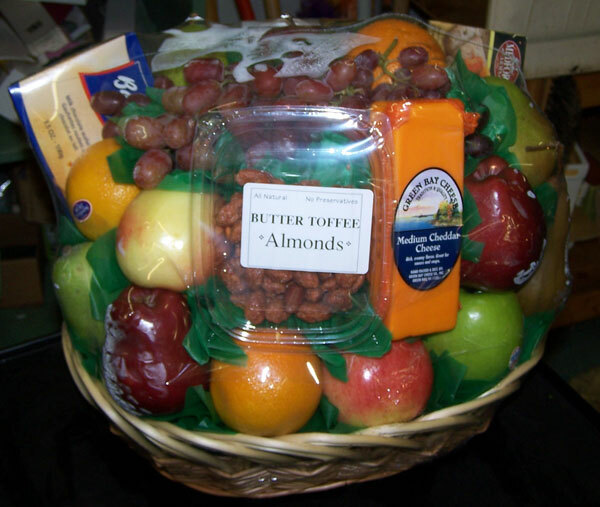 Bringing together fresh fruits among nuts, cheeses, crackers, chocolates, gourmet popcorn, cookies, and sparkling cider are just a few ways we can tantalize your clients. If your client has a sweeter side, let us indulge it with a decadent sweet gift basket. Our chocolate tower features delicious homemade chocolate from one of the oldest chocolate factories in Pennsylvania. Chocolates are beautifully stacked in a bountiful display and can include chocolate covered pretzels, buttercream, caramels, and nonpareil’s, just to name a few. Not a sweet or chocolate fan? How about a gift that says “Good morning!” like our imported coffee and tea basket, a true morning pleaser of assorted Irish teas from Dublin, Ireland and coffee from Brazil. These coffee gift baskets include all of the extra yummy morning treats, such as biscotti, scones, and a variety of wonderful tea cakes just to name a few. All are beautifully wrapped for delivery.